The 16th meeting of the Regional Task Force on the Promotion of Financial Inclusion in the Arab States kicked off Sunday at the Le Royal Meridien Hotel in Abu Dhabi. The meeting will be attended by representatives of the Global Alliance for Financial Inclusion (AFI), the Association of Iraqi Private Banks, the Islamic Development Bank (IDB), the German Development Agency (GIZ), the European Investment Bank (EIB) and the World Bank Group (WB). 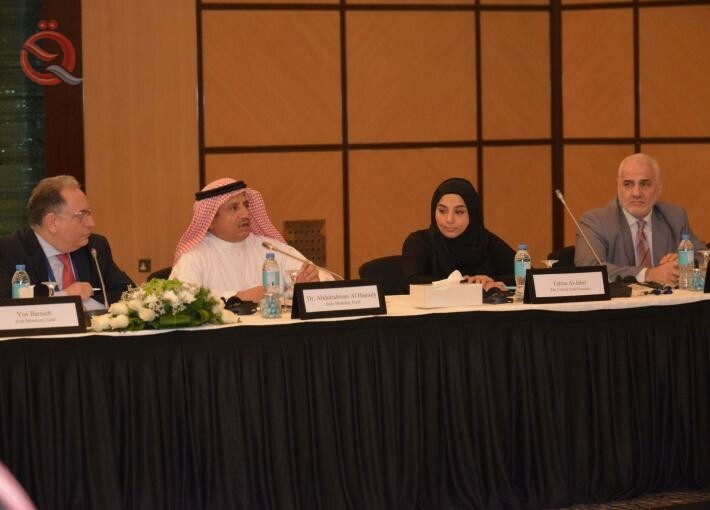 "The panel will discuss a number of important issues and issues, including follow-up to the recommendations of the first Arab Forum for Modern Financial Technologies held on December 12 and 13, 2018 in terms of financial inclusion, including a discussion of the proposed establishment of the Arab Monetary Fund, The panel will discuss the subject of modern financial technologies and the protection of consumers of financial services, the gender diversity in financial services of emerging companies, and the theme of digital identity and the consolidated database. ھیl process to identify the customer and reduce the cost of compliance with legal risk. He added that the panel will discuss the issue of responsible finance in enhancing financial coverage by shedding light on the policies and tools available in this regard, in addition to the issue of enhancing the position of microcredit through reducing credit risk weights within the framework of capital adequacy ratio. Participants in the implementation of the G20 principles of financial services in the case of Arab countries Finally, the team will discuss the most important preparations for the activities of the Arab Day for Financial Inclusion of 2019 and the updates of the Regional Initiative for Enhancing Financial Coverage in the Arab Countries (FIARI). Review of the program activities of the initiative for the current year 2019. It should be noted that the Group is working on developing policies and procedures related to enhancing the financial coverage of the Arab countries, improving the indicators of their financial coverage, enhancing the exchange of experiences and experiences among the Arab countries in the issues of financial inclusion and preparing studies and working papers on the conditions of financial inclusion in the Arab countries. , As well as enhancing awareness of financial inclusion and consumer protection issues in financial and banking services.